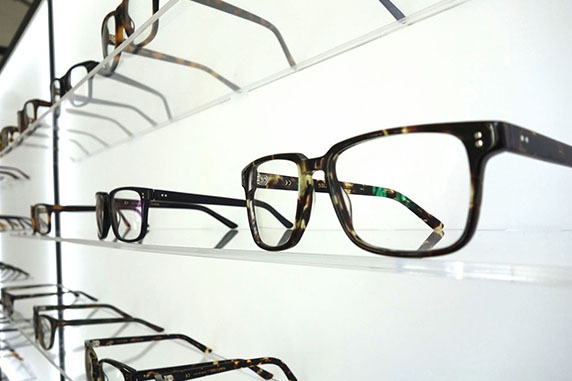 Ballard Optical has one of the largest collections of frames in the area. Each frame has its own unique story and has been hand- selected by our team of buyers for it’s personality, quality, and durability. We are pleased to offer frames from top design houses including Etnia Barcelona, Masunaga, Smith Optics, Takumi, Nike, Silhouette, Vera Wang, Kate Spade, Paul Frank, and many others. From high-fashion to extreme sports, our collection of sunglasses offers something for everyone. Sunglasses not only protect your eyes from harmful UV rays, but can also enhance your vision and express your unique style. We offer a wide verity of styles from many top-designers including Smith,Ray Ban, Kate Spade, Carrera, Vera Wang, Etnia Barcelona, MODO, and many others. We also offer goggles and safety glasses. Most sunglasses and some goggles will accept prescription lenses. As always, anyone who purchases contact lenses at Ballard Optical is eligible for 20% off sunglasses, everyday! No two eyes are the same—no two lenses should be the same. In the 1980s we used to design lenses accurate to 1⁄4 unit. Lens design and manufacturing techniques in the 21st us to design lenses accurate to 1/100 unit. Not only does this give our patients clearer, more comfortable vision, but also helps make the lenses lighter, thinner, and more durable. Lens design and manufacturing are only part of the story. At Ballard Optical, our highly trained opticians take the time to discuss the many options for lenses with each patient as well as make sure your frames and lenses work together, not against each other. Every lens we make comes with a one-year warranty against scratching, warping, chipping, fading, or any other defect. Glasses say so much about your personality and personal style. At BALLARD OPTICAL, we are happy to work with you in selecting frames that complement your features. Our experienced optometry professionals work closely with you to select the proper frames to fit your budget as well as your cosmetic, lifestyle, and vision needs. While working with our experienced staff enables you to select the appropriate frames, we invite you to learn more about which frame styles complement various face shapes.